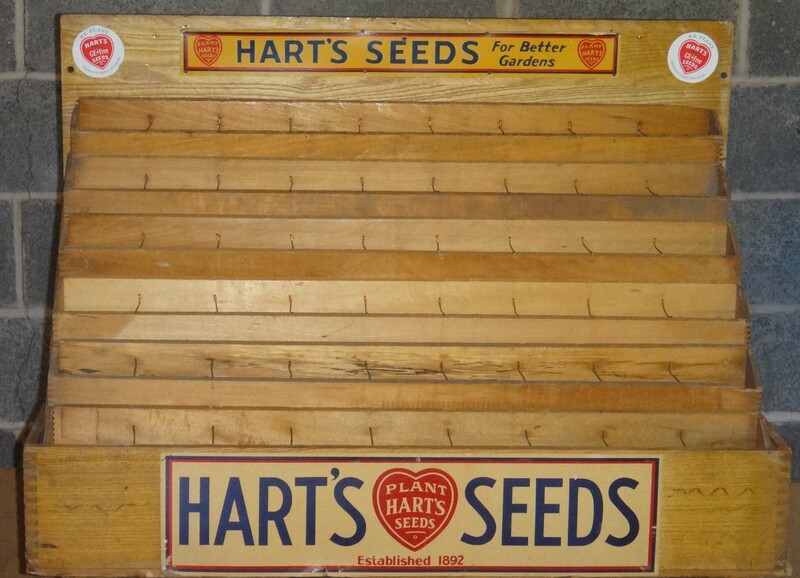 There are various panels and frames that Hart Seed has offered over the years but due to cost, design problems, or supply issues, many have been retired. Some of our customers still have these displays, preferring them to the newer models (often due to the antique look). Listed here are the ones that we still have records of offering in the past. 3R having 3 rows. 21 pockets total. 3B having 3 rows like the 3R but with hooks on the front meant to hold plastic bags of peas, beans and corn. 21 pockets total. 2R having 2 rows. 14 pockets total. AR being the regular version. AS having slanted pockets that are slightly shallower to hold fewer packets. R7 having one row of 7 pockets and one of 6 pockets. 52 pockets total. R6 having one row of 6 pockets and one of 5 pockets. 44 pockets total. 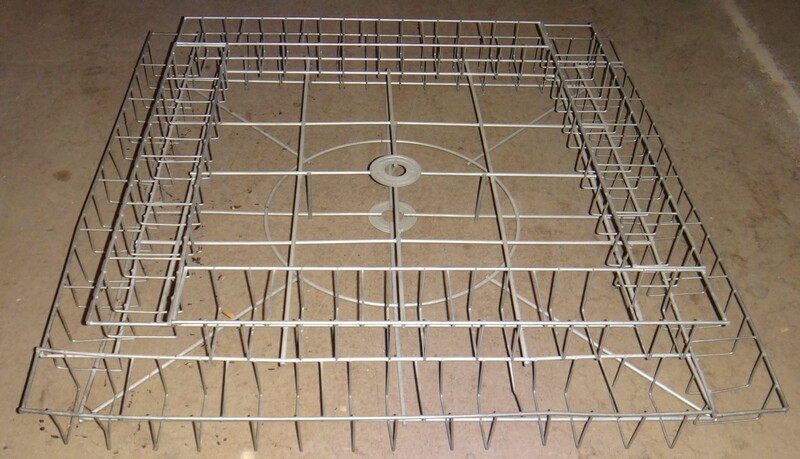 C4R: A spinning display specially built to hold 4, 1/2 C Panels, it came stock with a stationary base but could be utilized with our more modern R frame base to give it casters. H3: A set of legs that holds 3 H Baskets. Some displays had 2R Baskets in place of some or all of the H Baskets. Some legs had casters for added mobility. H4: A set of legs that holds 4 H Baskets. Some displays had 2R Baskets in place of some or all of the H Baskets. Some legs had casters for added mobility. 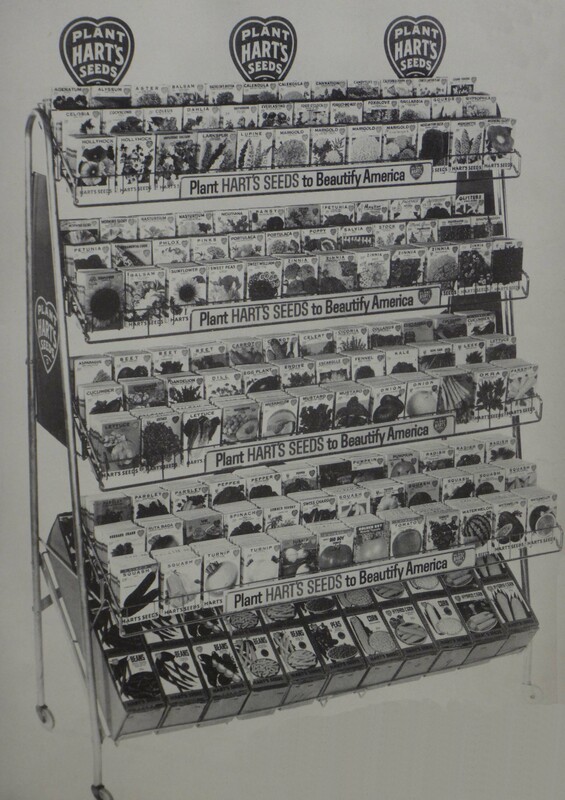 SM: Same as an H4 except with a bottom shelf that was designed to display a box of bulk seed. A2: A set of legs that holds 2 A Baskets and a bottom shelf that was designed to display 2 boxes of bulk seed. Some legs had casters for added mobility. 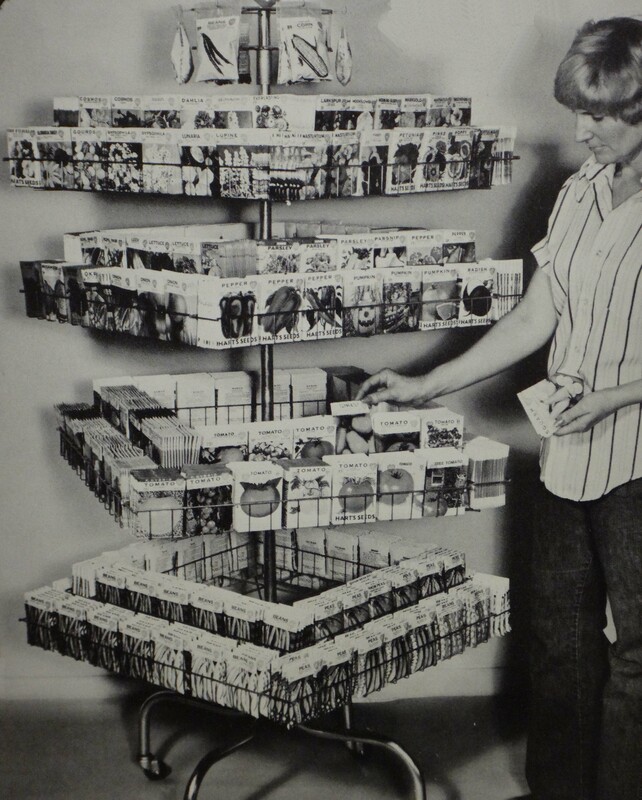 A3: A set of legs that holds 3 A Baskets and a bottom shelf that was designed to display 2 boxes of bulk seed. Some legs had casters for added mobility. A4: A set of legs that holds 4 A Baskets. Some legs had casters for added mobility. LM: Same as an A4 except with a bottom shelf that was designed to display 2 boxes of bulk seed. R4: A base with casters and pole that held 4 R Baskets. 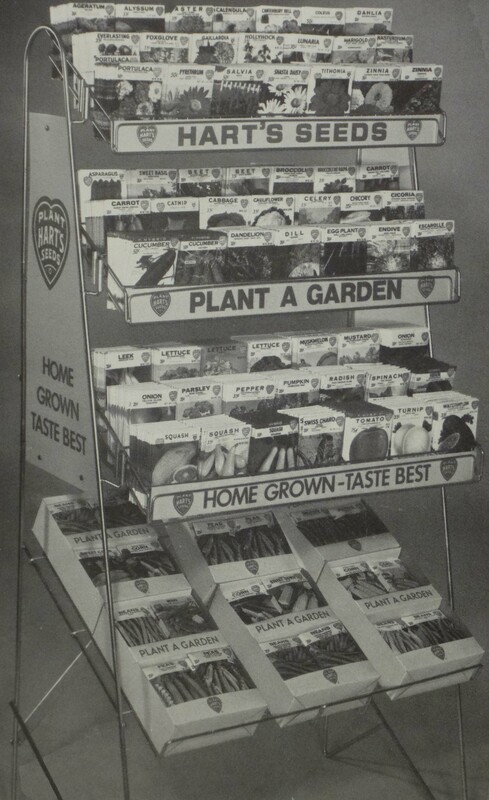 These displays often had a mix of R7 and R6 Baskets, occasionally having a small ring at the top to display bulk seed packages. Wood Panel: 8 rows of 5 pockets, folded in half for storage and shipping, had an empty row down at the bottom that could be used as a 9th row or for placing bulk seed. Very old with the newest having been made in the 1950’s. Wood Counter-top: 6 rows of 9 pockets, collapsible down to a small size for storage and shipping, this “counter-top” was quite large when on display. Very old with the newest having been made in the 1950’s.